Protein included: eggs chicken turkey fish Fruits. Vegetables included: grapefruit broccoli asparagus zucchini mushrooms spinach-ax. Lunch : Try to eat as mush of one fruit that you like, see fruits : Orange, Strawberry, Pears, Apples, Plums, Cantaloupe, Watermelon . Dinner : Grilled meat only completely fat free, Cut or Ground * mutton or lamb are not allowed. Lunch: Grilled or boiled chicken only. * remove the skin . Dinner : 2 boiled eggs, green salad , One slice of toast or pita and one orange or grape fruit. Lunch : – One tablespoon of fat free cream cheese, A slice of toast with tomato. Breakfast : 1/2 Orange or Grapefruit - 1-2 Boiled Eggs. Lunch : Have as much of one fruit that you like, choose one of the fruits below . Orange, Strawberry, Pears, Apples, Plums, Cantaloupe, Watermelon. Breakfast : ½ Orange or Grapefruit - 1-2 Boiled Eggs . Lunch : 2 boiled eggs, broiled vegetables(zucchini, squash, spinach, carrots, green beans, or peas). Breakfast : ½ Orange or Grapefruit - 1-2 Boiled Eggs. Lunch : Grilled or boiled chicken. Boiled or steamed vegetables (zucchini, squash, spinach, carrots, green beans, or peas), and one orange or grape fruit. Dinner : Boiled or steamed vegetables (zucchini, squash, spinach, carrots, green beans, or peas). The true fact is that when we normally eat carbohydrates they are turned immediately into glucose. Excessive amounts of glucose from our food that is not used by any other cell is then again converted to fat and gets stored in fat cells. When we starve ourselves of carbohydrates, our body pulls the fat from the fat reserves and turns it again to glucose. This continues even if you stuff yourself with various low carbohydrate foods such as steak, egg, and cheese. By using this method, we can certainly lose fat even while stuffing ourselves with our favorite dishes. 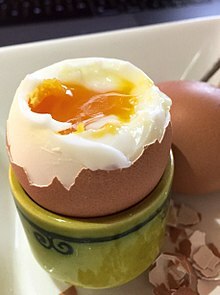 The boiled egg diet is very effective if used appropriately, meaning combined with small servings of fruit, vegetables, other protein, and plenty of water. Remember, the boiled egg diet should only be used for about one to two weeks or until you lose the desired amount of weight! Keep your calories low at 1700cal which is a good goal. Walk 1 hour per a day or 30 min jogging. Listen to your body and be patient. Is there an exercises work perfect with the egg diet plan ? Exercising regularly is an important factor for weight loss and as the saying goes, "A sound mind in a sound body". 30 days workout routine can help you get rid of excess weight and reduces the burden on the joints. For some people it can also mean to reduce from the amount of drugs they consume, such as drugs to lower blood pressure or diabetes, leading to saving money and avoiding side effects of those medicines. Taking your workout routine during the egg diet can play a significant role to preserve a healthier body in a short period of time. 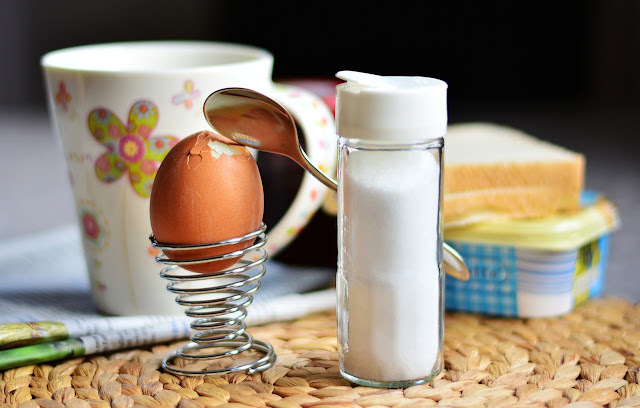 This can help after or during the egg diet plan : 30 days workout routine. The egg diet plan is the perfect short-term solution to that wedding you have next weekend or even a potential date. And remember that you must see the weighing scale goes up and down sometimes, Just keep going and good luck.